UPDATE: 12/7/13 – According to Facebook, Jessica has been located. 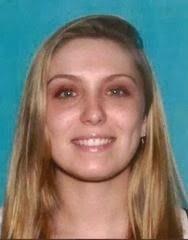 Jessica Terranova, 23, from North Brunswick, N.J. was last seen on Nov. 18 in Princeton. She stated she was planning on heading to Hamilton on Nov. 18 but she has not been heard from since. Jessica Terranova has blonde hair and blue eyes. She is 5’5″ and weighs about 125 pounds. Anyone with information is asked to contact the North Brunswick police at (732) 247-0922.